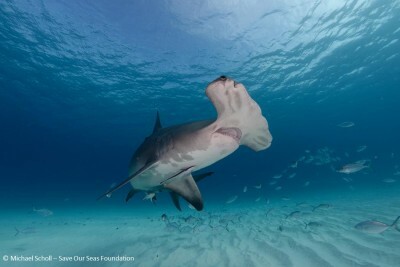 Fort Lauderdale/Davie, FL & Ithaca, NY – A new genomics study of shark DNA, including from great white and great hammerhead sharks, reveals unique modifications in their immunity genes that may underlie the rapid wound healing and possibly higher resistance to cancers in these ocean predators. This research brings us a few steps closer to understanding, from a genetic sense, why sharks exhibit some characteristics that are highly desirable by humans. efficient wound healers, and suspected to show a greater resistance to cancers, though this needs further study. These properties are likely tied to their immune systems, which have been fine-tuned over 400 million years of evolution. sharks, however, have become modified and have undergone evolutionary natural selection. Shivji stresses, however, that’s it’s important to understand that ingesting parts of sharks will not cure or prevent cancer, and in fact it is likely to be damaging to one’s health because of the high mercury content in sharks. The Bag1 gene, for example, codes for a protein that in humans is involved in inhibiting an essential natural process called “programmed cell death.” This is important because the programmed cell death process works to eliminate dysfunctional cells, and one of the hallmarks of cancer is the ability of malignant cells to evade this key natural process. So the shark-specific signature of adaptation found in the Bag1 gene may indicate an alternative, or modified role for this important gene – one that could alter its tendency to inhibit programmed cell death in sharks. The shark DNA sequences provide further clues. The research team found that compared to bony fishes, the four species of sharks and ray examined not only had a much higher proportion of genes involved in antibody-mediated immunity, but also that several of the infection immunity-related genes were expressed only in the sharks and rays. 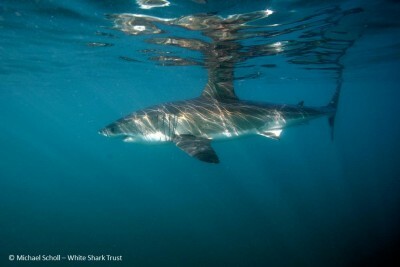 The Save Our Seas Foundation was the primary funding organization for this study. About Cornell University (Cornell): Cornell University is unique in the Ivy League for having private and public schools and colleges. Cornell’s mission is to discover, preserve, and disseminate knowledge; produce creative work; and promote a culture of broad inquiry throughout and beyond the Cornell community. Cornell also aims, through public service, to enhance the lives and livelihoods of our students, the people of New York, and others around the world. About The College of Veterinary Medicine at Cornell University (The College): The College is consistently ranked among the top veterinary schools in the world, a tribute to its strengths in training students, the breadth and quality of its research, its cutting-edge clinical and diagnostic services, and its extension and outreach programs. The DVM program combines innovative, small-group learning strategies and intensive early clinical experience. The College’s teaching hospitals and diagnostic laboratory impact the health of over 150,000 animals annually.